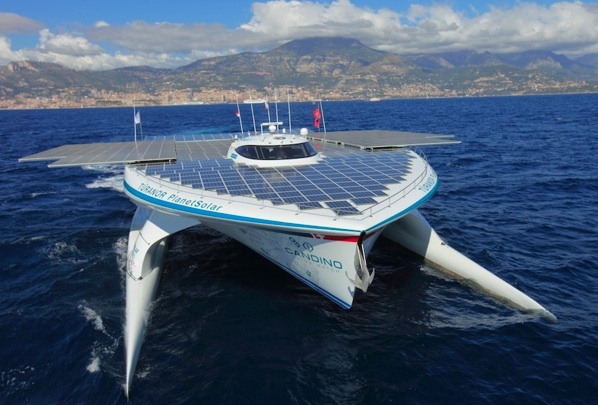 PlanetSolar is the largest catamaran (130ft) that is solar-powered. 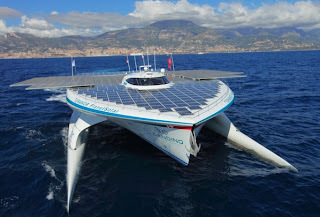 It was unveiled by PlanetSolar, the Swiss manufacturer and launch in Barcelona, Spain in November 2011. Preparations are in full swing for its arrival at the WFES (World Future Energy Summit) in Abu Dhabi at the National Exhibit Center on January 16th - 19th. Many speakers from the Exxon Mobil to the Green Building Council will be present and all eye will be on 500sq meters of pure solar paneling.